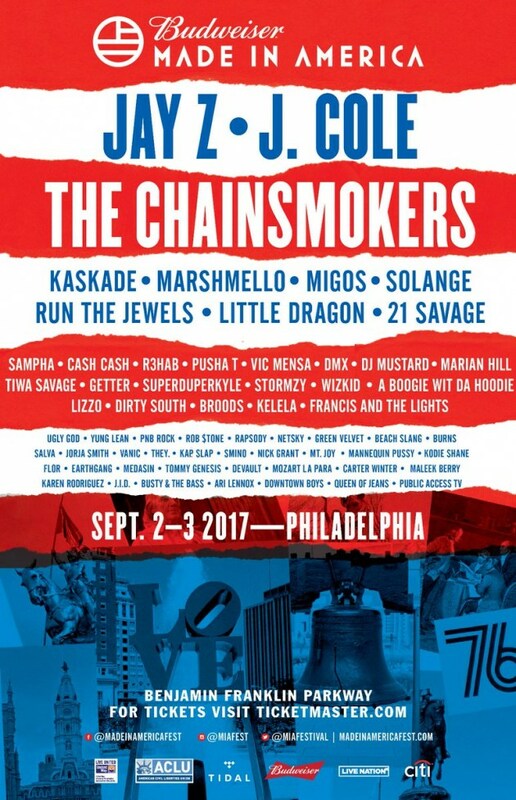 Budweiser has just released the official lineup to the 2017 Made In America Festival which is going down Sept. 2,—Sept. 3 in Philadelphia, and it’s going to be a stacked weekend. Jay Z and J. Cole will be featured headliners for the weekend, along with The Chainsmokers.